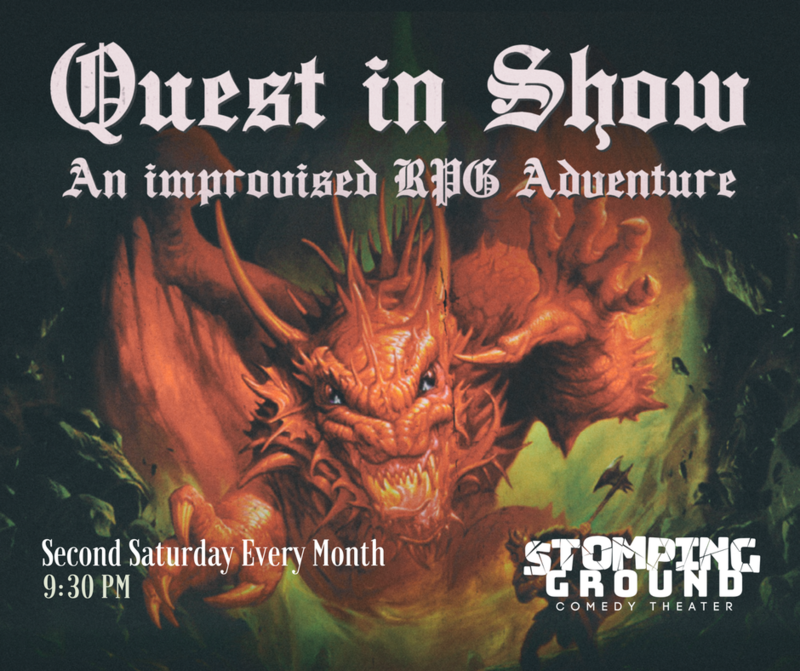 Dallas's only improvised Role Playing Game adventure performed live onstage. 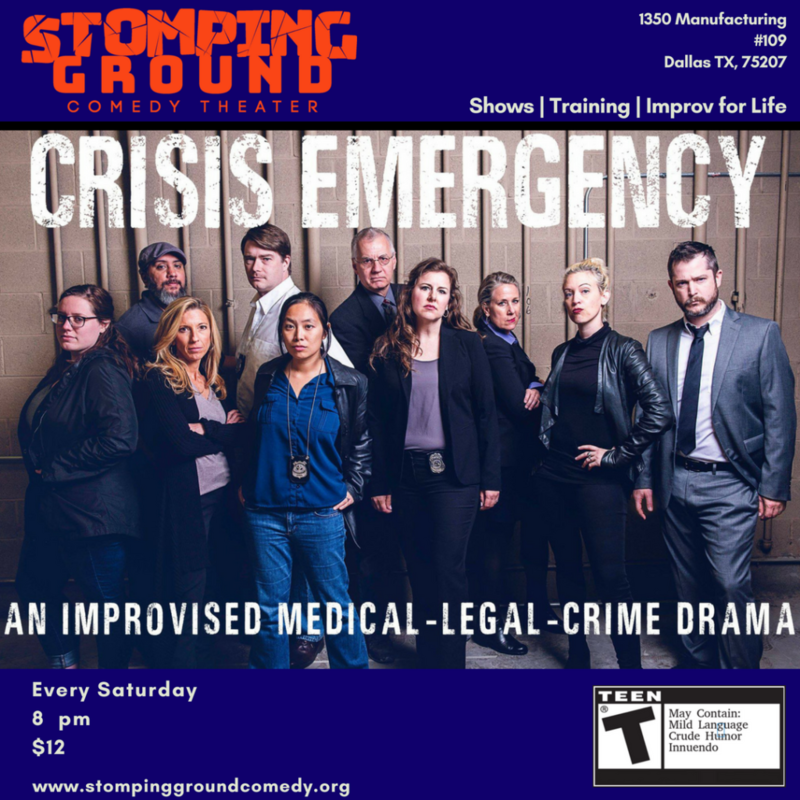 Every Saturday night, Stomping Ground brings you law, order, crime, and post-surgery romances like you see on your favorite hour-long televised procedurals. You cast the show and choose the crime, and we bring you drama...that's funny. Crisis Emergency is rated T for Teen but parental discretion is advised. The cast aims to keep this show in line with standards set by hour-long TV procedures but it's improv so accidents do happen. Seating starts 15 minutes prior to the show. Stomping Ground is BYOB. On Saturday, July 14 the Stomping Ground stage becomes a Lip Sync battle ground. 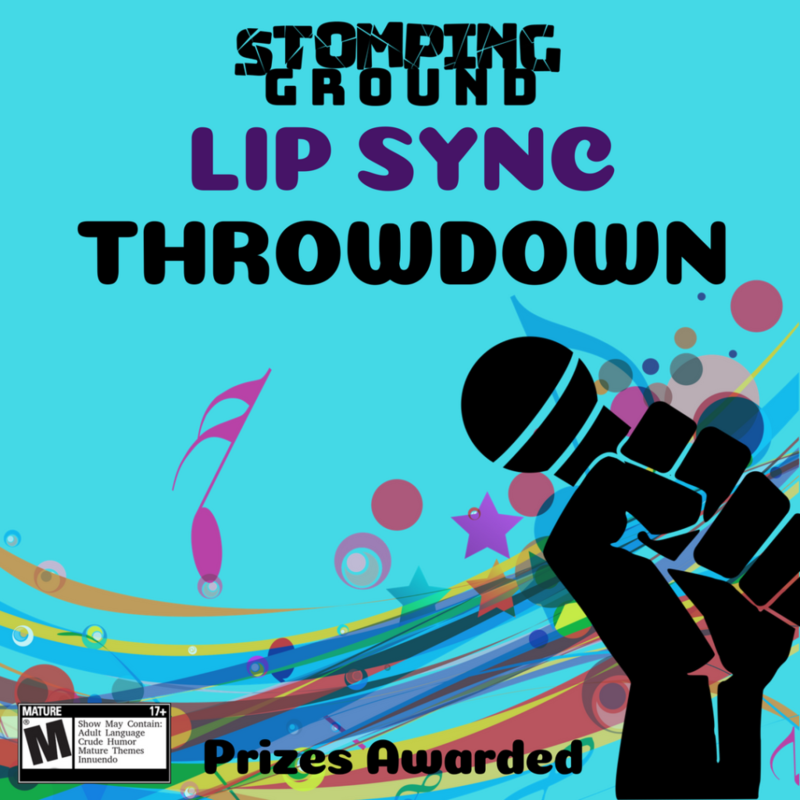 Lip Sync pros and aspiring syncers can sign up to compete in our Lip Sync throwdown. There will be prizes awarded for the Top 3 acts of the evening. Competitors can RSVP using the form to let us know that they want to compete. They can also message us on FB or email contactus@stompinggroundcomedy.org. Props and costumes are welcomed and encouraged. The first competitors to sign up will be given priority to perform. This is a FREE event to attend and compete in. Stomping Ground is BYOB. This show is rated 18+/Mature. Seating begins 15 minutes prior to the start of the show.